A water conditioner system will make the water better in your home in Cleveland, Ohio. At RainSoft, that’s our specialty, and we’ve been doing so since we were founded in 1953. By offering innovative products and unrivaled service, we’ve earned the business and trust of families across North America. Your local authorized RainSoft dealer will be pleased to talk with you about the benefits of using a water conditioner in your home and help you choose a system that meets your unique requirements. A water conditioner will effectively remedy the problems of hard water, which is found in many communities throughout the country. To say that water is “hard” basically means that it contains high levels of calcium and magnesium, and the higher the concentrations of these minerals, the harder the water. While hard water does not pose a health threat, it can cause myriad household problems that basically affect anything that uses or touches the water. For this, a whole house water conditioner will provide a solution. As a result, more detergent must be used at a higher water temperature in order to achieve the same level of cleaning that is possible with soft water. There are several drawbacks to this, not the least of which is the fact that soaps and detergents are expensive. 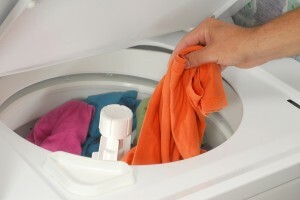 Additionally, many detergents contain phosphates that can add to water pollution. An excellent alternative is a home water conditioner from RainSoft, which will soften your water using a non-precipitating ion exchange process through which the troublesome calcium and magnesium minerals are swapped for virtually imperceptible sodium or potassium. If you would like to learn more about our high-quality water conditioner systems, contact an authorized RainSoft dealer in Cleveland, OH.